Hellmann’s lab studies the dynamics of populations and interactions among species and how those groups respond to environmental change. The over-arching goals of her research group are to develop and deploy innovative scientific techniques to understand the changing natural world, and to engage diverse stakeholders in conversations about solutions to environmental change. Much of Hellmann’s work involves interdisciplinary collaborations with computer scientists, political scientists, and legal scholars. 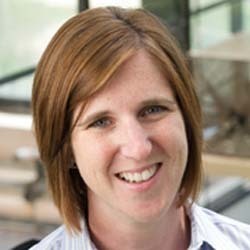 Her recent research on adaptation strategies, like managed relocation (humans helping ecosystems tolerate or minimize the effects of climate change by moving species to new locations), has led to a larger project called the Collaboration for Adaptation to Climate Change, an online workspace and toolkit that helps adaptation decision making by researchers, managers, students and the public.